Em and I stopped by the opening of Michael Scott’s Black and White Line Paintings show last week. 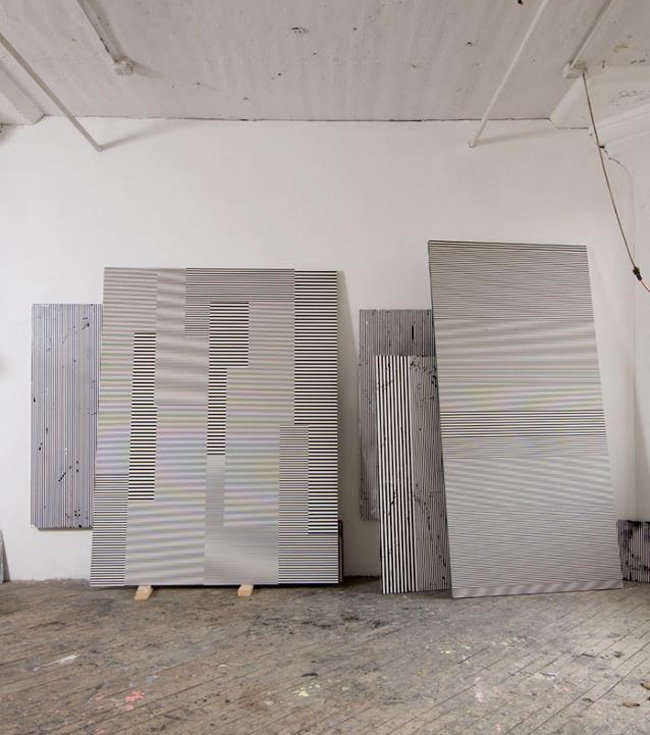 Upon entering the gallery, we were greeted by the collection of large enamel-on-aluminum paintings whose lines initially created visual effects such as moiré patterns and the illusion of multiple plains, until our eyes quickly adjusted and could take in these mesmerizing works. Surprisingly, they have a hypnotic and peaceful quality. Some have a sharp precision to them, while others are distressed and bleed. In the back office of the gallery there is even one that looks like the lines were done freehand and offer yet another take on the black and white line theme. 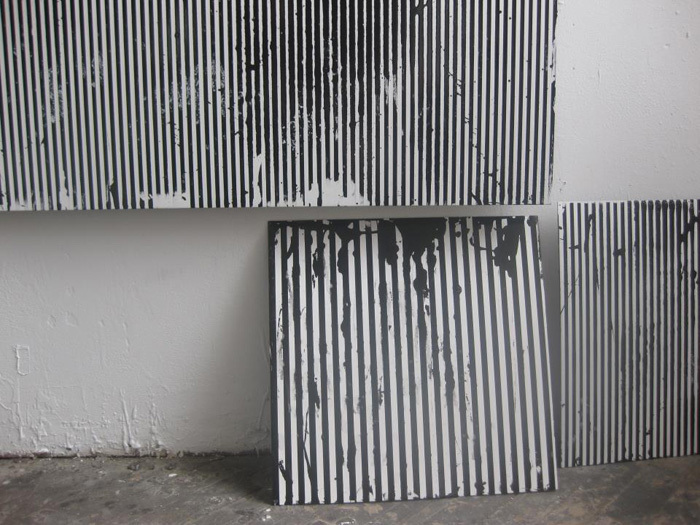 Michael Scott’s Black and White Line Paintings 1989-2011 is on view at Gering & López Gallery in NYC through February 18, 2012. This entry was posted in Art, NYC, Pop Culture, Stuff We Like. Bookmark the permalink.